Hive Bent of Baltimore produce “loud sounds from a sunn amp and a drumkit”. Silly genre jokes aside, there are some very serious things happening here, they are just being expressed with screaming and feedback. This right here is the whole of Hive Bent‘s debut recording, U NEUTRAL. 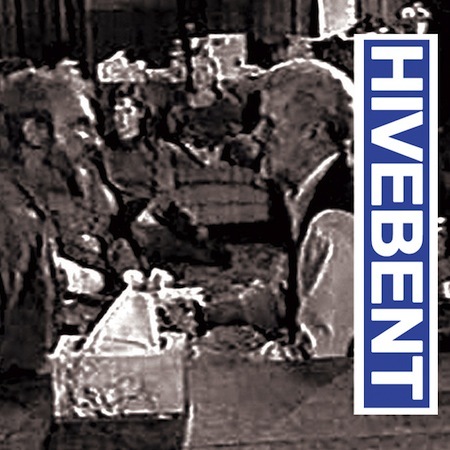 Pay-What-You-Want for the digital of U NEUTRAL @ hivebentmd.bandcamp.com. Buy the limited edition cassette of U NEUTRAL @ hivebentmd.bandcamp.com (100 copies made). June 15th @ Big Snow Buffalo Lodge for #EISGTNSIDE13 w/ Pile + Speedy Ortiz + Two Inch Astronaut + Grass Is Green + Ovlov + Fat History Month + Porches.